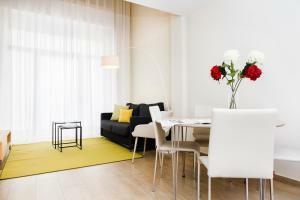 Feelathome Plaza Apartments offers apartments with free Wi-Fi and heating. 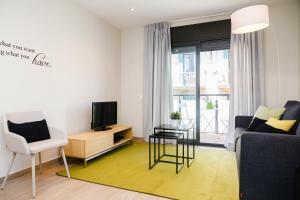 The apartments are 100 metres from Hostafrancs Metro Station and 650 metres from Plaza Espanya and Barcelona Fira Congress Centre. Featuring stylish décor, all the apartments include a seating area, a flat-screen TV with satellite channels and a DVD player. Most of the apartments have a balcony or terrace. 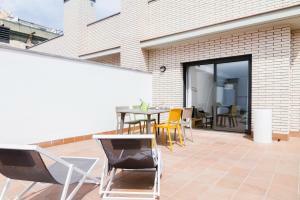 Every apartment has access to a communal rooftop terrace with views of the area. 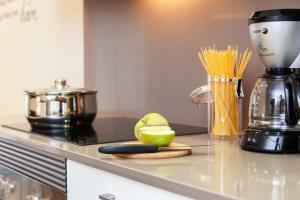 Each apartment has a dining area and a kitchen equipped with a washing machine, oven and coffee machine. 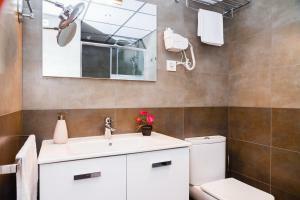 The bathrooms come with a shower and bed linen and towels are provided. Guests will find restaurants and shops within 3 minutes' walk from the property. 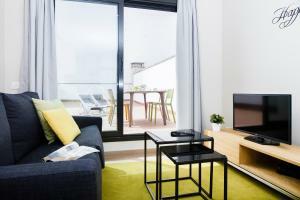 The apartments are 3 km from Plaza Catalunya Square and Barcelona city centre. 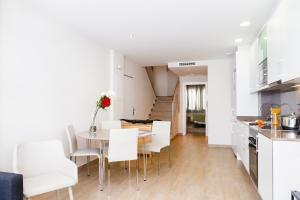 Sants Train Station is a 10-minute walk from the property. Please note, that guests must present the credit card used to make the reservation upon arrival. If the guest is different from the cardholder, please contact the property in advance. 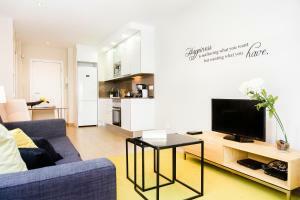 This apartment features free Wi-Fi and heating. It includes a seating area, a flat-screen TV with satellite channels and a DVD player. 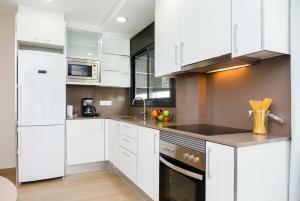 There is a dining area and the kitchen is equipped with a microwave, oven and coffee machine. A washing machine is also available. 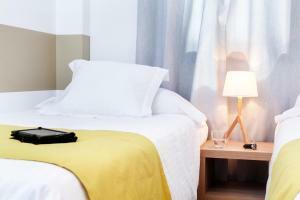 There is a single bedroom, a double bedroom and a sofa bed. 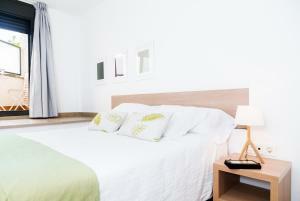 The bathroom has a shower and bed linen and towels are provided. 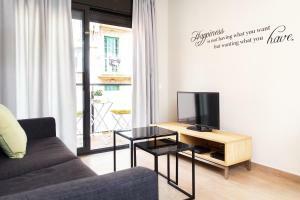 This apartment features free Wi-Fi and heating. It includes a seating area, a flat-screen TV with satellite channels and a DVD player. 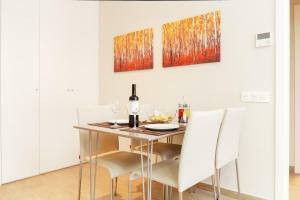 There is a dining area and the kitchen is equipped with a microwave, oven and coffee machine. A washing machine is also available. 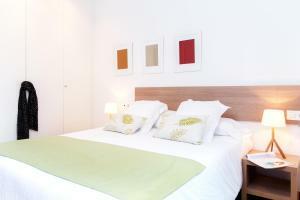 There are 2 double bedrooms, a sofa bed and a bathroom with a shower. Bed linen and towels are provided. Rate: € 144.32 ... € 260.84; select dates below to get current rates. 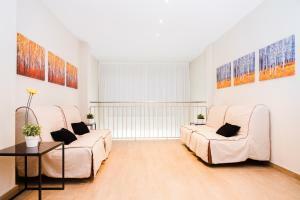 This apartment features free Wi-Fi and heating. It includes a seating area, a flat-screen TV with satellite channels and a DVD player. 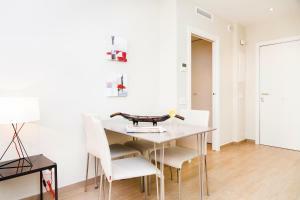 There is a dining area and the kitchen is equipped with a microwave, oven and coffee machine. 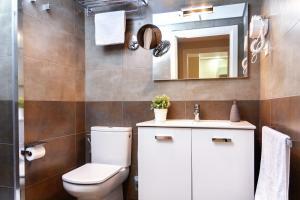 There are 2 double bedrooms, 2 sofa beds and 2 bathrooms with shower. Bed linen and towels are provided. 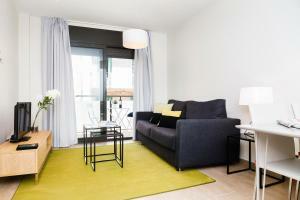 This apartment features free Wi-Fi, a terrace and heating. It includes a seating area, a flat-screen TV with satellite channels and a DVD player. 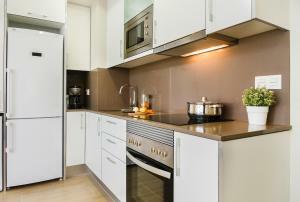 There is a dining area and the kitchen is equipped with a microwave, oven and coffee machine. A washing machine is also available. There is a double bedroom, a sofa bed and a bathroom with a shower. Bed linen and towels are provided. 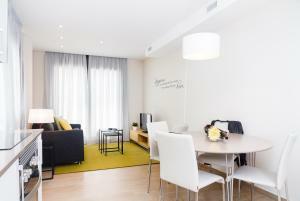 Rate: € 104.05 ... € 295.11; select dates below to get current rates. This apartment features free Wi-Fi and heating. It includes a seating area, a flat-screen TV with satellite channels and a DVD player. 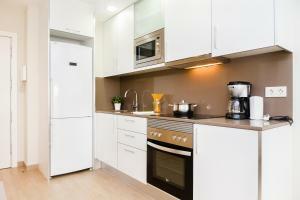 There is a dining area and the kitchen is equipped with a microwave, oven and coffee machine. A washing machine is also available. There is a double bedroom, a sofa bed and a bathroom with a shower. Bed linen and towels are provided. 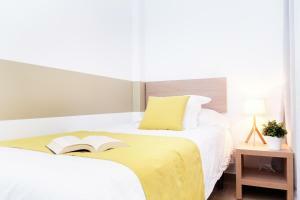 Rate: € 65.00 ... € 561.33; select dates below to get current rates.